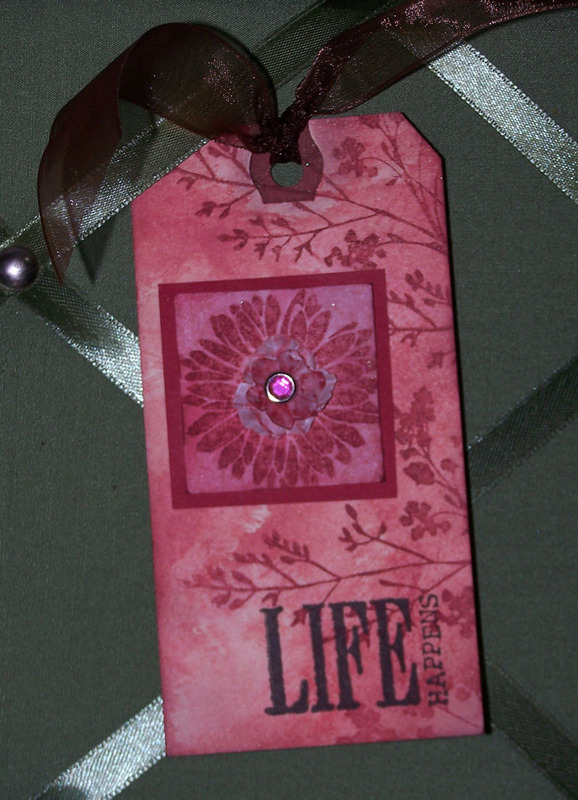 Attached is a card and tag that I made up today from elements I created earlier and then set aside, waiting for the right project. Between work, school, and raising a family my crafting time has drindled down to nearly nonexistant. So, I have started to work in bits and pieces. 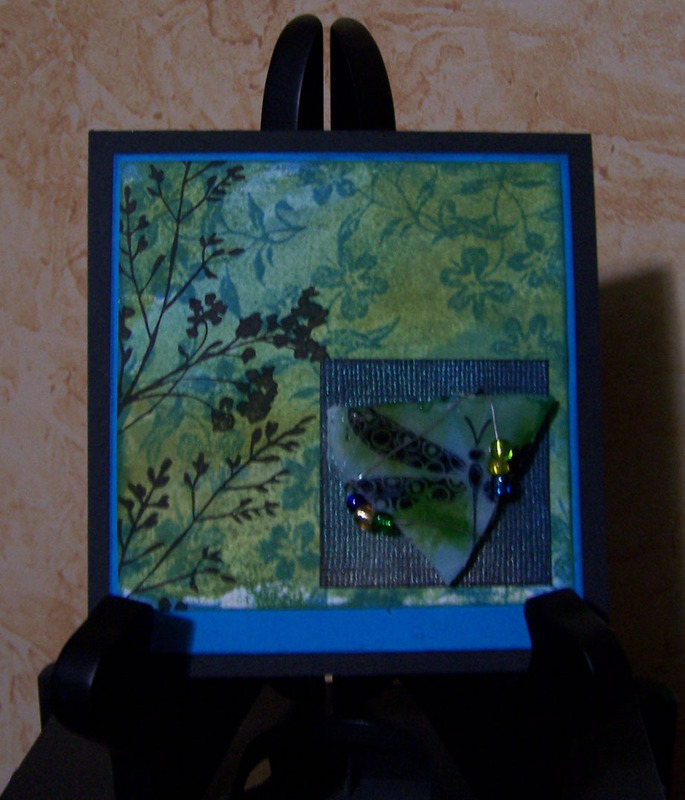 I play around with decorative chipped glass and Alcohol Ink (Tim Holtz/Ranger), color tags with Distress Ink (Tim Holtz), or fancy up some black card stock with Opalite Ink (Tsukineko, Inc). Each just takes a bit of time to put together; then when I’m ready to make a full project I am already halfway there.